The mayors of 70 US cities stepped forward on Monday in support of President Barack Obama and the EPA’s efforts to institute the strongest possible science-based Clean Air Act protections for ground-level ozone pollution, otherwise known as smog. 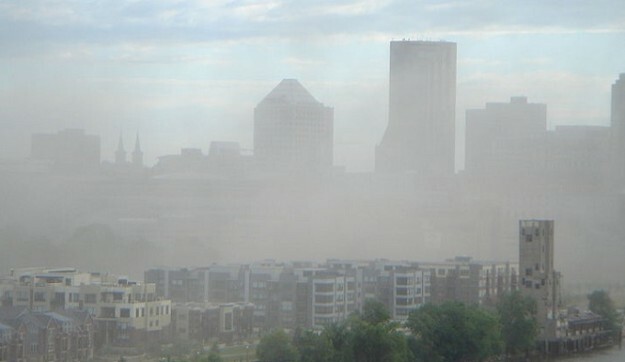 Made public this week by the mayors of Grand Rapids, Michigan and Salt Lake City, Utah, local leaders from 24 US states released a letter in support of stricter, science-based ground-level ozone regulations. Many of the signatories reside in states with historically and currently high levels of smog pollution, such as California, Illinois, Pennsylvania and Michigan, Grand Rapids Mayor George Heartland’s administration highlights in a press release. Exposure to smog has been medically proven to cause both immediate acute and chronic long-term respiratory and other medical conditions. More generally, it causes burning eyes, breathing problems and irritates the cardiopulmonary system (the heart and lungs.) The American Lung Association likens breathing smog to getting a sunburn on your lungs that can result in immediate breathing problems, Mayor Heartland’s administration highlights. Long-term exposure to smog has been linked directly to reproductive and childhood development problems and premature death, as well as asthma, bronchitis, heart attack and other cardiopulmonary afflictions. Children, seniors and those who suffer from asthma are especially vulnerable. A long-term study of ozone’s deleterious effects on human health that covered 450,000 people in the US revealed that those living in major cities with high levels of ground-level ozone levels, such as Houston and Los Angeles, were 30 percent more likely to die from lung disease. An allotrope of the diatomic oxygen (O2) that fuels all forms of life on Earth, ozone (O3) is produced by exposure of O2 molecules to ultraviolet (UV) radiation from the Sun. Human activity results in the production of ozone through the extraction, refining and combustion of fossil fuels. It is also produced by electrical discharges in the atmosphere, and forms both at high and low levels of the atmosphere. The Clean Air Act directs the EPA to set National Ambient Air Quality Standards (NAAQS) for ground-level ozone and other pollutants. Under court order, the EPA in May 2008 lowered its ozone standard to 80 nmol/mol. Even this level was considered too high by the EPA’s own scientists and advisory board, which recommended lowering it to 60 nmol/mol. Public health and environmental groups, such as the Sierra Club, supported the lower standard. 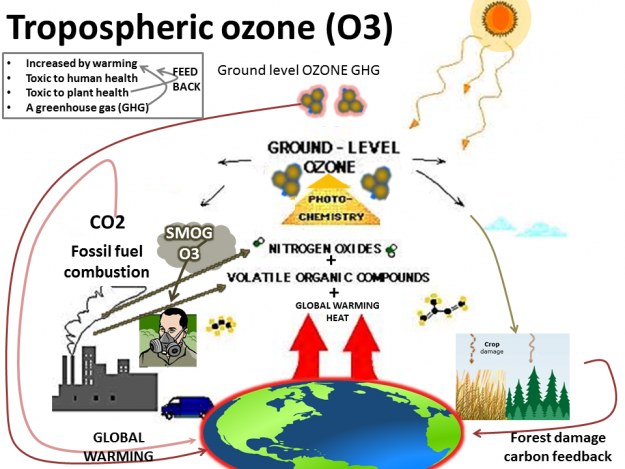 Internationally, the UN World Health Organization (WHO) recommends capping ozone concentrations to 51 nmol/mol. Responding to “extensive recent scientific evidence about the harmful effects of ground-level ozone EPA chifed Gina McCarthy announced the EPA is proposing to reduce the federal NAAQS for ground-level ozone to 65 to 70 parts per billion (ppb) in order ¨to better protect Americans’ health and the environment.” In addition, EPA said it is taking comments on tightening ozone emissions standards further, to 60 ppb. On March 17 a group of seven leading US public health organizations, including the American Heart Association and American Lung Association, wrote to EPA Administrator Gina McCarthy supporting the agency’s proposal.